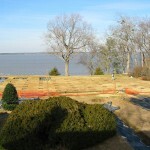 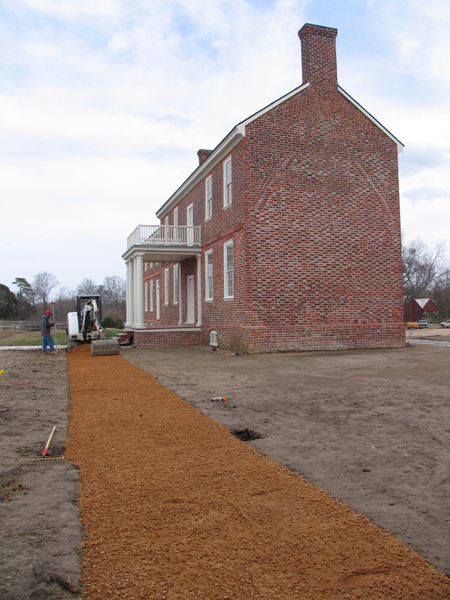 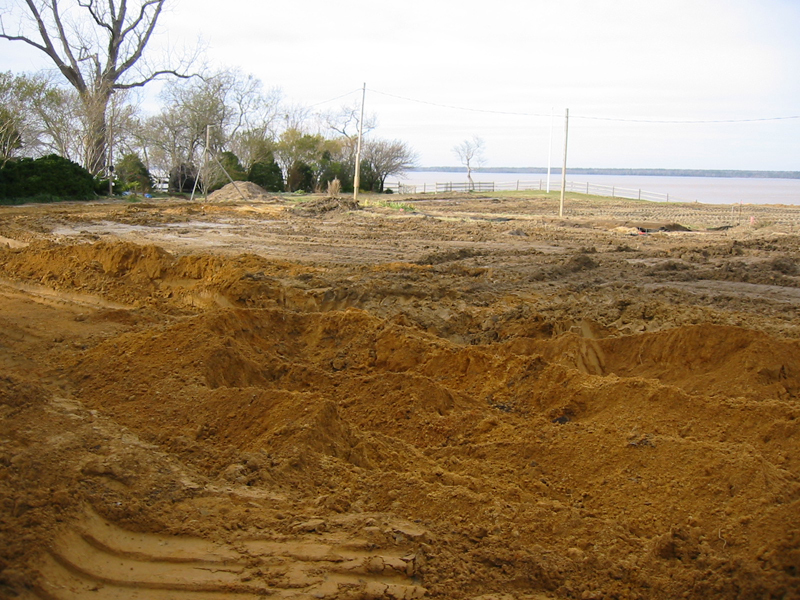 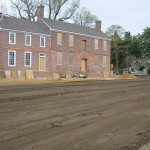 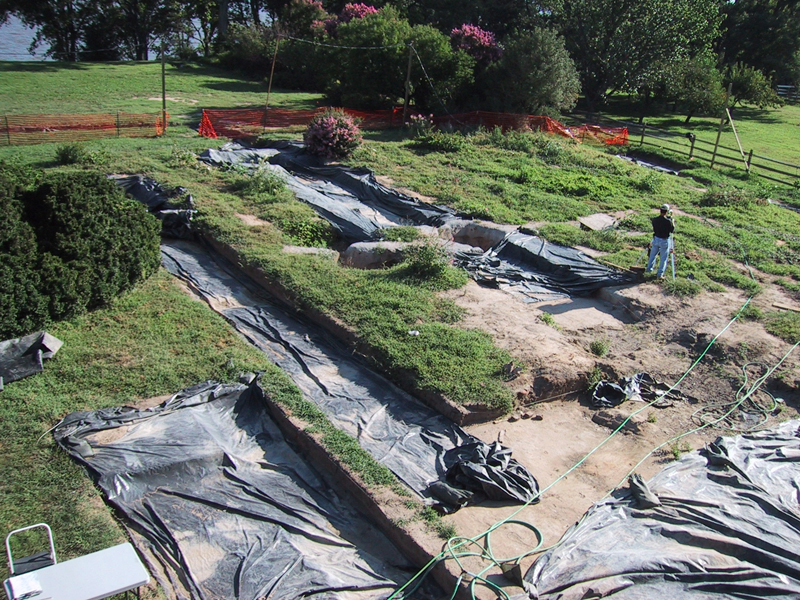 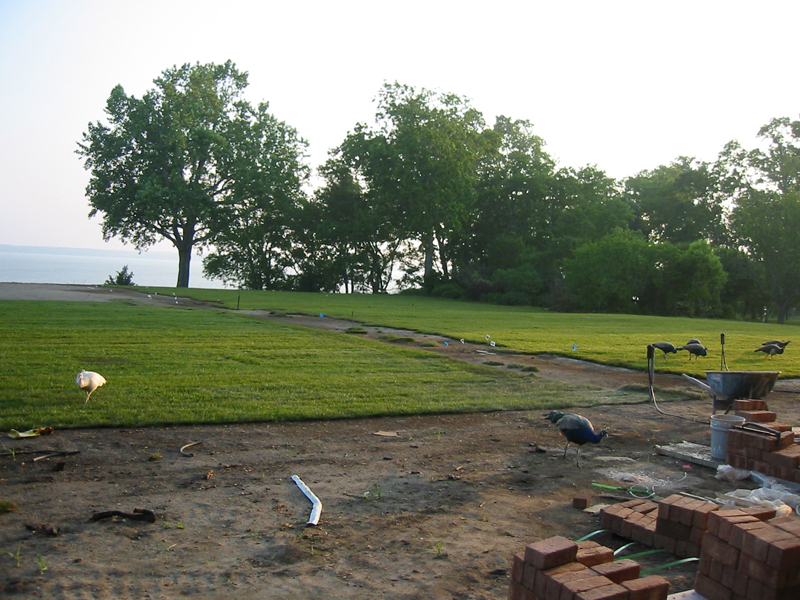 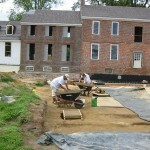 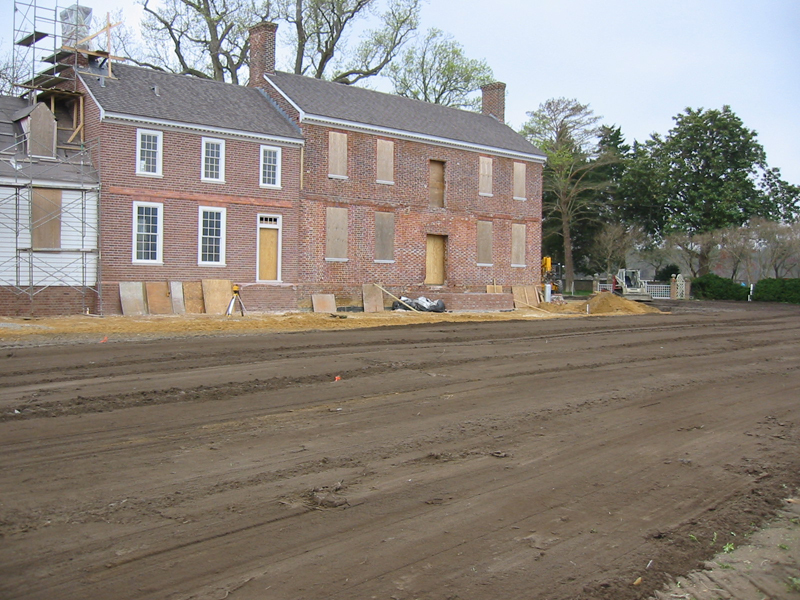 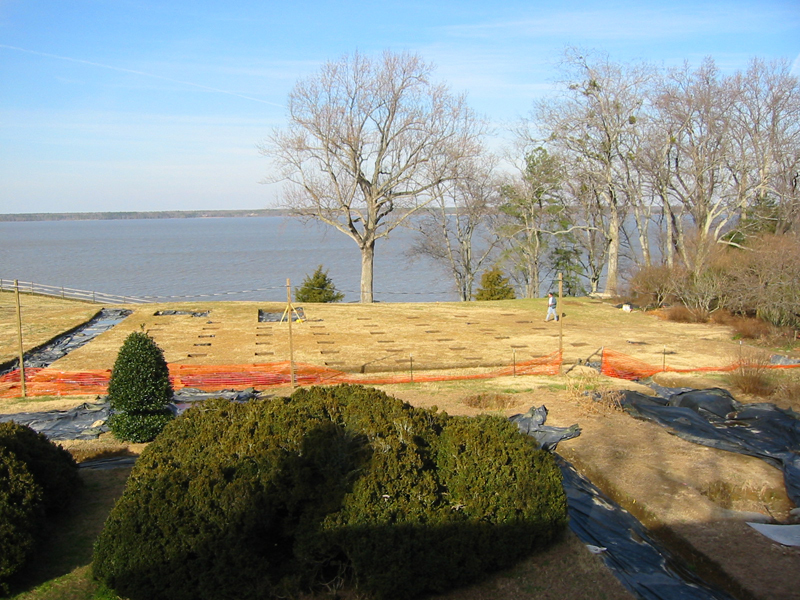 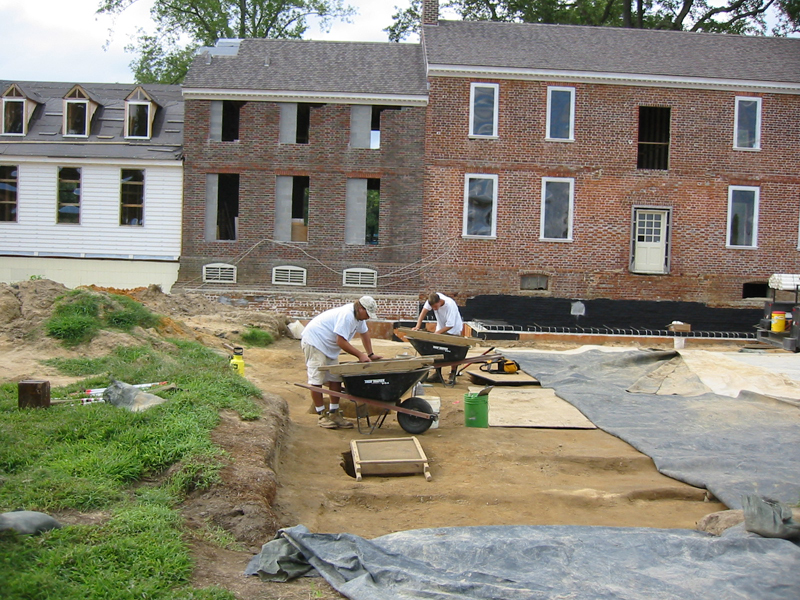 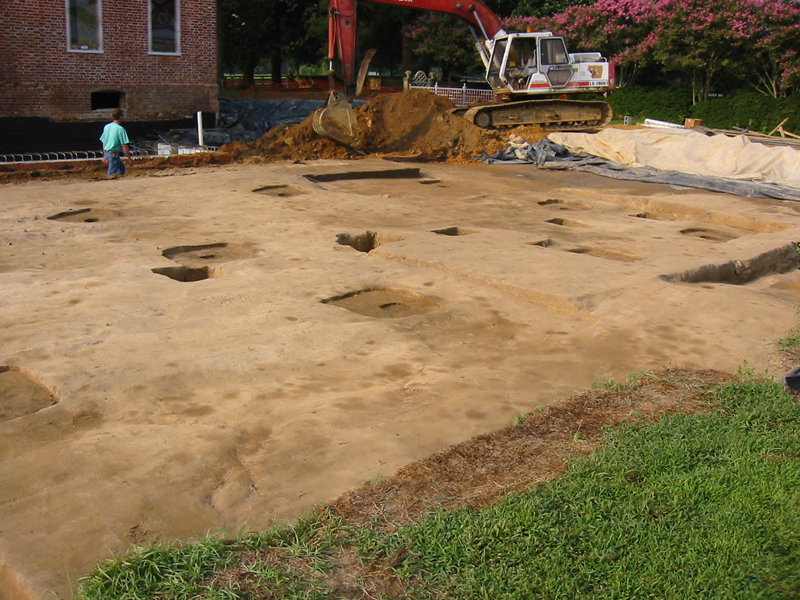 River side lawn graded to reveal archaeological features. 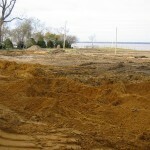 Bank repaired, drainage installed 2007. 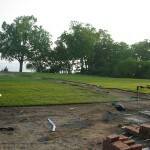 Mansion picket fences on land side 2008. 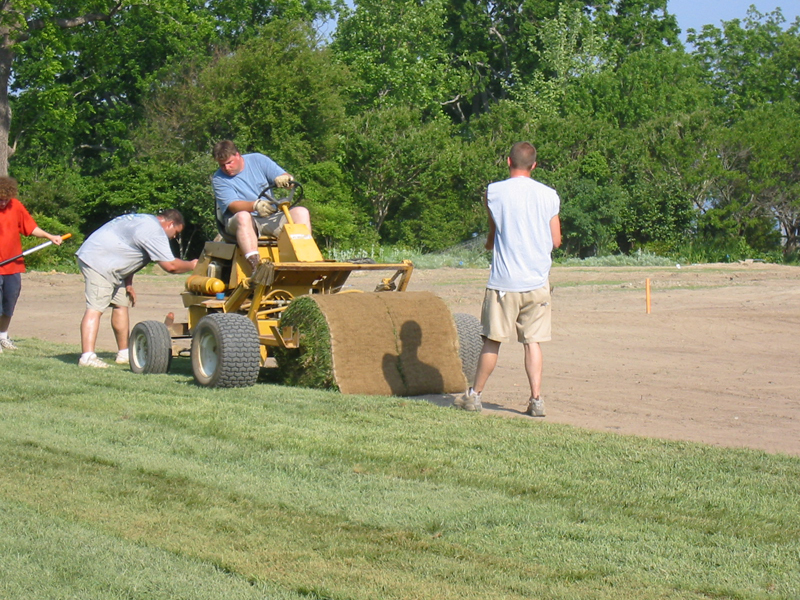 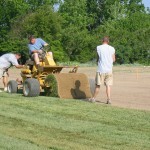 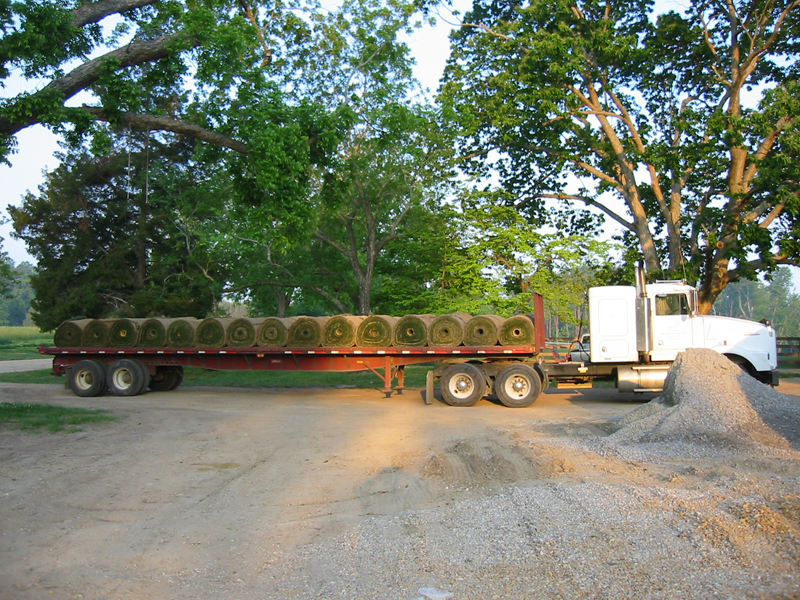 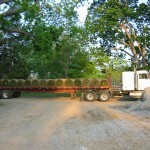 Sod arrives big time 2004. 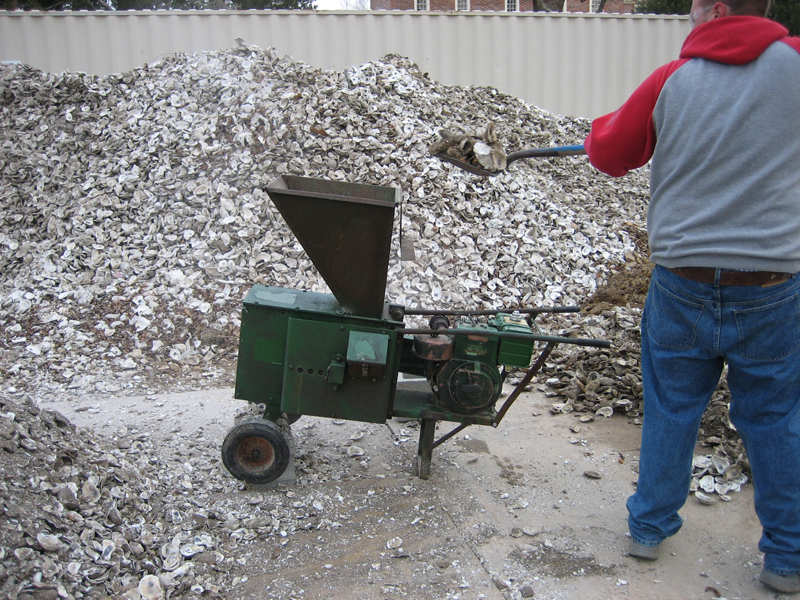 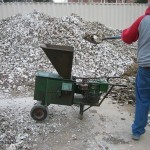 Crushing shells for river lawn path. 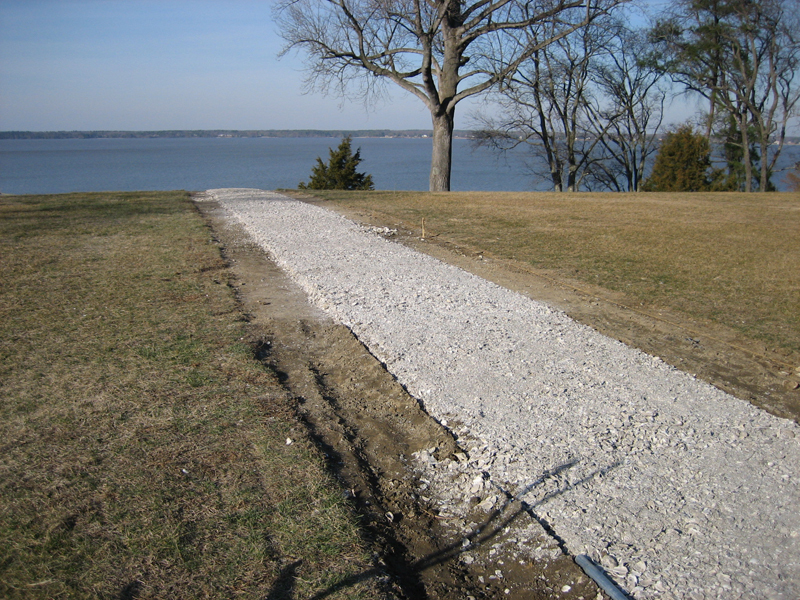 Laying the river lawn path oyster shells 2005. 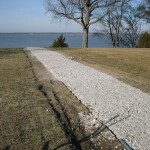 River side garden path finished. 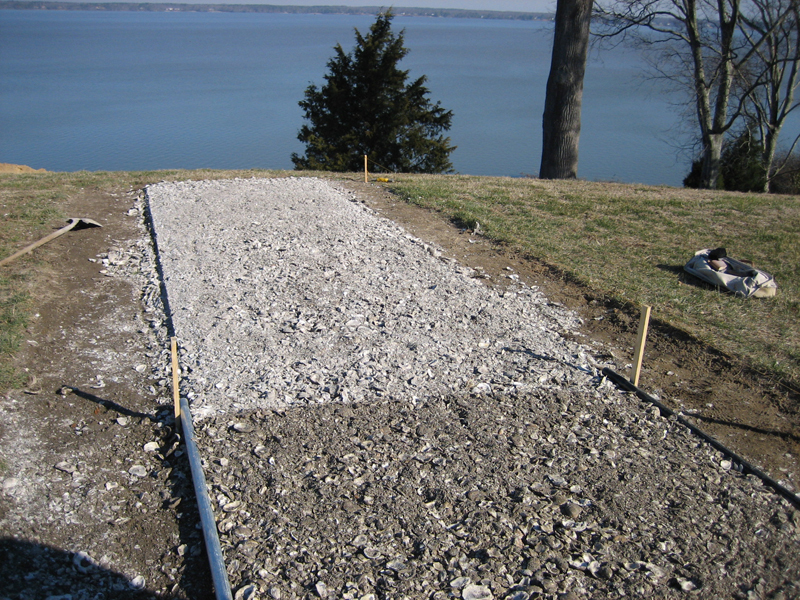 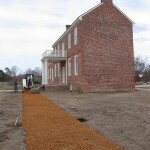 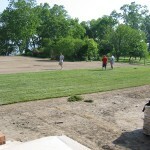 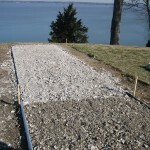 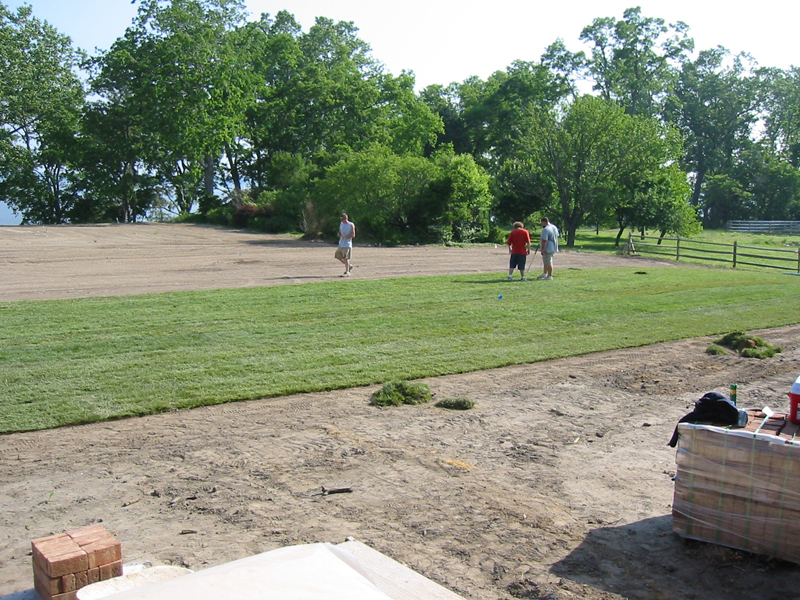 Pea gravel paths laid on river lawn 2008. 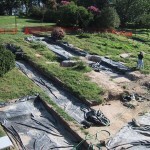 Extensive archaeological test pits of the river side garden. 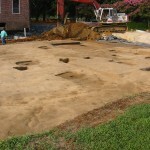 Archaeological dig, garden area, river side of the house.